Paramore and PVRIS fans, get excited! 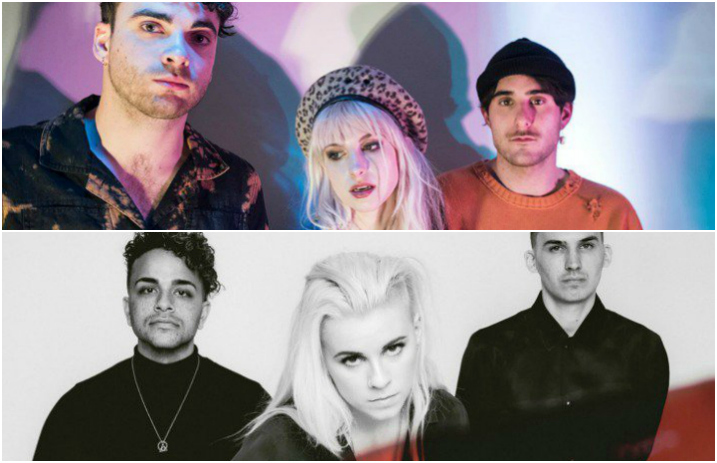 Paramore have announced that PVRIS will be the opening act for their fall show in Mexico City, and we’re truly freaking out. Check out where you can see the two bands together below! The show will be held Oct. 23 in Mexico City at the Palacio De Los Deportes. See Paramore’s official announcement below! Paramore will be hitting the road in the U.S. with Best Coast this fall, following the release of their new album, After Laughter last month. In addition, PVRIS will be hitting the road this fall with Lights, Flint Eastwood and Party Nails in support of their new record, All We Know Of Heaven, All We Need Of Hell, set to be released Aug. 4. You can check out the full list of cities and dates for their headlining tour here! How excited would you be to see Paramore and PVRIS together at one show? Let us know in the comments below!